Workshop participants visit the site of new park. Oviedo, until recently an agricultural community known for its orange groves and celery farms, is now a growing bedroom community of 30,000 residents not far from Orlando. The city’s small downtown commercial district does not offer the functions and amenities of a true civic center to the growing population, so the city is creating a new one. Through a master planning process, Oviedo’s citizens identified the need for a new mixed-use town center that would provide the sense of community that they are so sorely lacking. The city embarked on a public-private partnership with a developer, Broad Street Partners LLC, to create this new town center, and acquired property to create a community park that is the focus of the new downtown. PPS worked with Broad Street to ensure that the new town center offers citizens of Oviedo a variety of destinations, gathering places and activities. The new development features outdoor cafes, pedestrian-friendly streets and vibrant civic-uses, such as a new county library. The park offers activities and amenities such as a multi-purpose performance area, a restaurant on the lake, an innovative children’s play area with an adjacent café for parents, a family game area, a farmers’ market, and a boat rental kiosk. 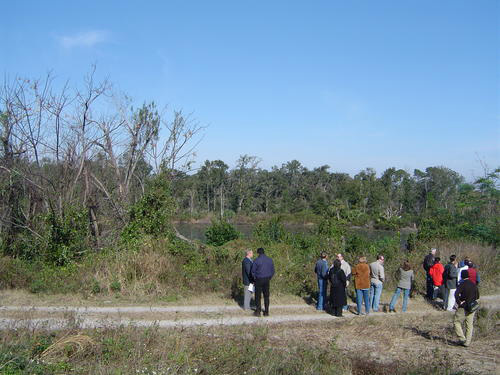 PPS worked with the Oviedo Citizens’ Advisory Committee and project partner MJM Management Group — a public space management team — to create an operational plan and management entity for the park. PPS also assisted the landscape architects in translating the community’s vision into design development and construction plans for the park, which opened in the spring of 2008. 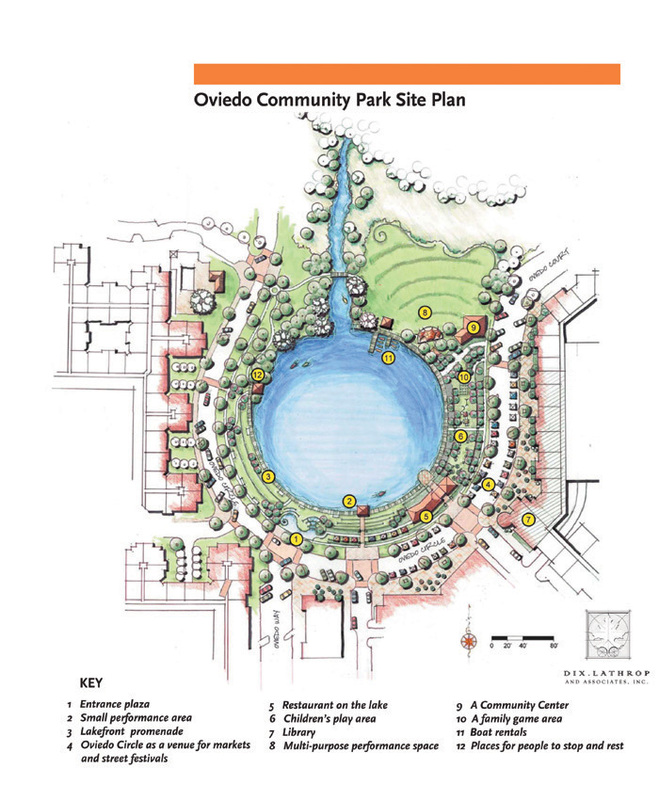 The site plan for the new Oviedo Community Park.